THREE IMPORTANT BENEFITS OF TRUE FRIENDSHIPS | Thoughts of a Calabarboy. 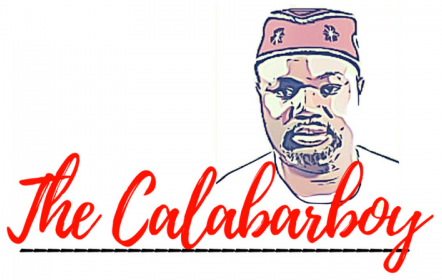 THREE IMPORTANT BENEFITS OF TRUE FRIENDSHIPS – Thoughts of a Calabarboy. Friendships are the levelers that help make room for decongesting the innards by sharing thoughts and experiences through an unrestricted flow of words wrapped with emotions. It creates the other you that isn’t you, yet takes you for who you really are, allowing you the spaces to be devoid of affectation. Something interesting about a great friendship is that it erases the seeming social barriers that exist in human interaction. You find the most uncanny expressions of this in awkward circumstances such as a lady CEO befriending her hair stylist, or the retired legal luminaire sharing a drink every evening with a newspaper vendor. When genuine conversations are sparked and sustained, no matter the parties involved, there is great friendship at work. You never understand pain or how to deal with it unless you have been wounded. In fact, a measure of ones maturity can be seen in the amount of pain such has gone through. Unfortunately, what happens often is that most do not resolve their pain because it originates from sources that cannot be engaged or questioned or even traceable. It, therefore, doesn’t amount to the wholesomeness needed to be citizens of the earth. Friendships, however, gives us the opportunity to be wounded, scarred, and yet healed. This is a gift. Such wounds come in varying styles and degrees and offer us the wonderful opportunity to be human and divine all at once. If, as they say, to err is human and to forgive divine, then what a priceless experience it is to be hurt by a friend and yet be willing to forgive and restore. It is this constant convergence of humanity and divinity that forges a glorious you from the furnace of adversity. A promise unkept, a gift denied, a request refused, a hard truth told, a memory forgotten, or a love forsaken; all seek to prove our capacity to rise above offense and place a higher value on pal over pain. It breaks you and helps you realize you are broken in ways that need a luminous substance to break free from such tender cracks. Your wounds teach you that you are frangible and need to allow yourself grow through the process of healing from a pain through confrontation and resolution. Sacrifice is the greatest proof of love; the most significant indication of ascribed value. It gives weight to the aforementioned benefits for without it, there is unlikely another way of judging the authenticity of feelings. Your degree of sacrifice reveals the depth of the friendship you offer to another, as well as your capacity to be a custodian of hearts; the world’s most fragile entity. It is a virtue that might rise with the occasion, but it is only eventually seen in the context of true friendships. Sacrifice gives life to any relationship, transits an ordinary association to a true friendship, and deepens the sense of loyalty to the parties involved. Great friends will lay down their lives to ensure that you are protected and provided for. At the root of such behaviour is that their joy is only complete when you find yours, and your misery is a question of their very existence. This is why the greatest feeling of good happens when recovering from an exercise that comforted another but stretched you. In true friendships, you find the fulfilling assurance of never floundering because someone else will definitely find your rhythm when you’re out of sync and devote the quality time to refill your nothingness even in the absence of words. Sacrifice will always reproduce its kind, leading to lifelong friendships based on genuine trust that we own nothing, but are merely stewards of what’s in our care to bless others. If these three elements are lacking in any relationship you have, then you are not friends.